Zookeeper Resume Templates are very different from those which are usually used for desk jobs. The job of a zookeeper is very complicated, and skills required for the same are not possessed by everyone. Taking care of different species of animals, many of them endangered, is a tremendous responsibility and thus, getting a zookeeper job is tough. A strong resume can go a long way in getting you that job. 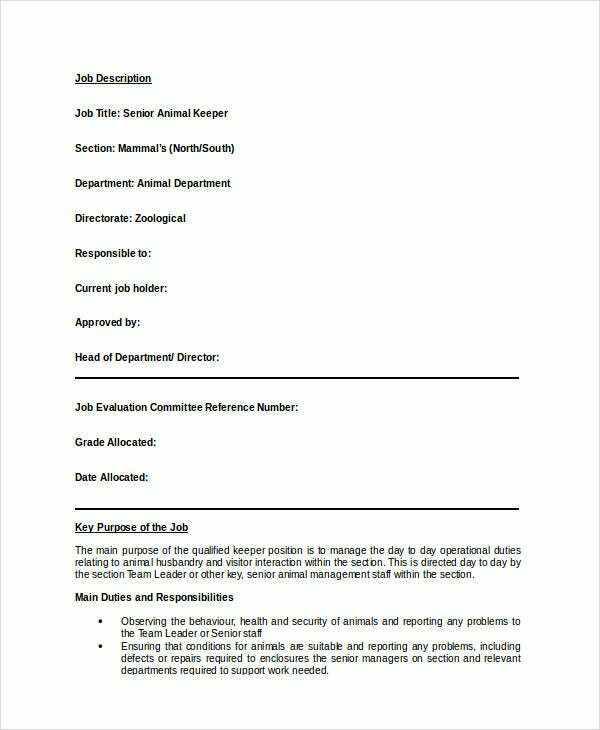 These zookeeper resume templates can help you do so. Various kinds of zookeeper resume templates are available which can be easily used by following the given instructions. This is a very useful resume template if you are an experienced zookeeper or if you are looking to apply for one. Using this template is very easy. You have to start by writing your name, contact information, personal information and educational qualifications. Then you should write about the special courses you have taken which will be useful as a zookeeper along with your skills and employment history. Write about your references too if you have any. 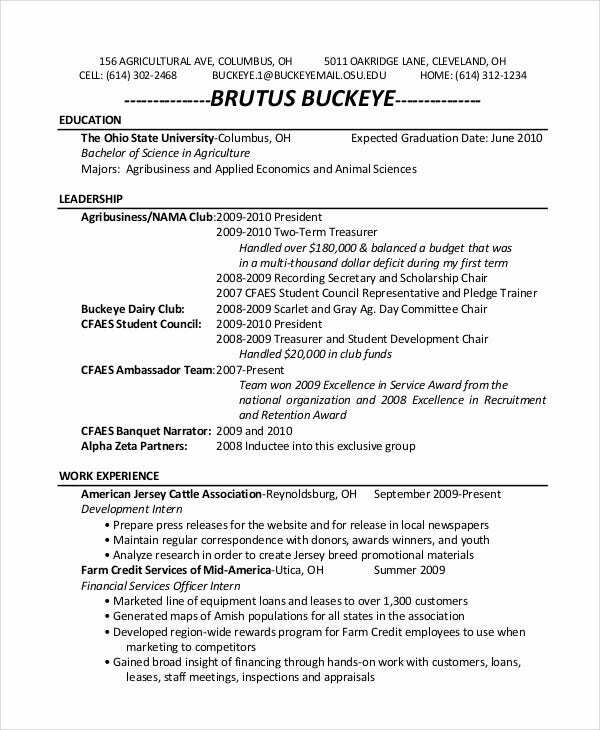 You can also see the Classic Resume Templates. This zookeeper resume template is designed for the post of an animal keeper in a zoo, i.e. a person who is responsible for the welfare of the animals he/she is allotted to take care of. The details of the post that have to be filled in it are title, responsibilities, and expectations from the person who can give the job. Also, educational qualifications, knowledge, and skills expected from the candidates are to be mentioned. For those looking to apply for a job of an assistant zookeeper, this resume template can be immensely helpful in making a resume for the same purpose. 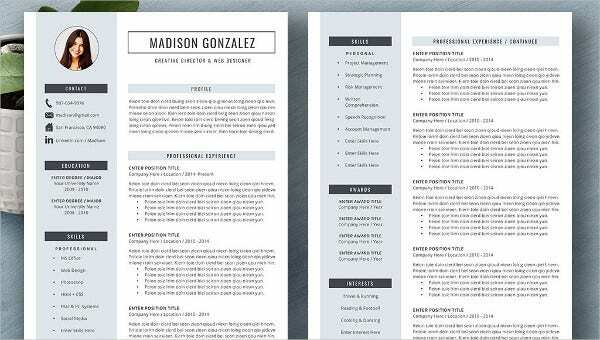 It is a very straightforward resume template, and you can build you resume easily by using it. You have to write about your objective for applying for the post, educational history, details of your employment history and skills you possess. This zookeeper resume template is designed for the post of a trainee zookeeper. It is incredibly detailed and contains all the requirements and expectations of the employee who will hold that job. The technical details like the title, salary, working hours, etc. are written first. 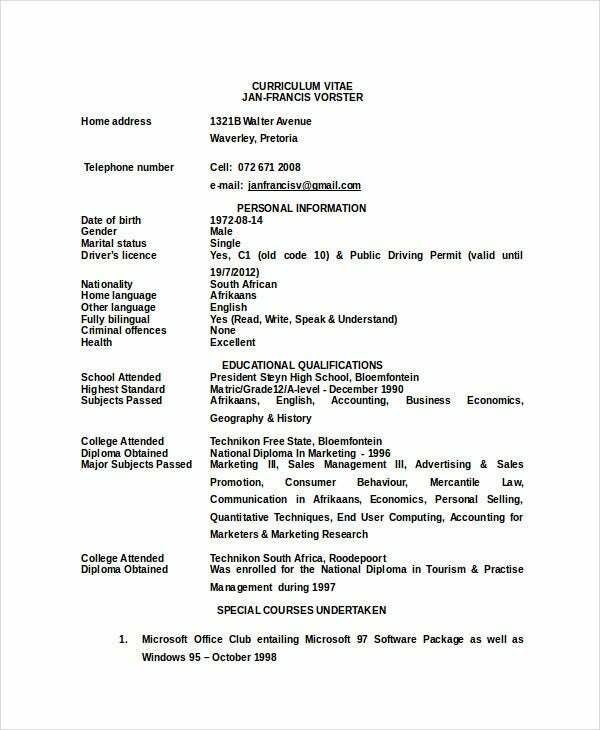 Later, the areas the employee will be working in and the skills they need to possess along with the minimum academic qualifications required are written. 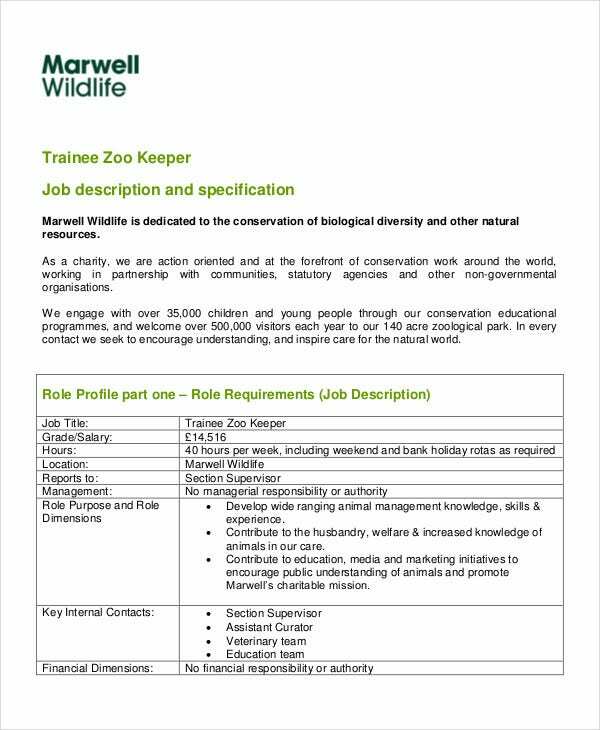 > What to Include in a Zookeeper Resume? Your previous work experience is the most important part of your zookeeper resume. If you previously had a job where you had to interact or look after the animals, you will have a strong resume built for yourself. Write about the different challenges you faced in your previous jobs and how you overcame them. Skills which can help you as a zookeeper are also essential. You can also see the Chartered Accountant Resume Templates. If you have taken part in different outdoor training programs, mentioning that in your resume will make it strong. Knowledge of various kinds related to animals and their habitats should also be mentioned. You should also include your academic qualifications and the courses you have taken. These tips can be extremely helpful in making a strong and impressive zookeeper resume. Write in detail about your outdoor skills. As the role of a zookeeper doesn’t require a desk job, mentioning your outdoor hobbies can be useful in your resume. Write the most relevant information first. Write your qualifications in order starting with the ones that are most important to the job you are applying for. For instance, if you are applying for a managerial job, write about your experience in taking responsibilities and leading people first. Highlight your personal traits that can help you in getting the job. You have to take care of animals, but you also need to interact with the visitors, so mentioning your interactive skills can be helpful in your resume. These are mistakes that people commonly make in their zookeeper resumes. Try your best to avoid them. Do not write a lot of irrelevant data. Skills which are inconsequential to the post should be avoided as they will waste your as well as your recruiter’s time. Do not make grammatical errors. Proofread your resume for such mistakes as they might give an impression of you being clumsy. Do not write too lengthy resumes. Your potential employer will lose interest if you make your resume too long to read. Do not start with your weak points. Even if they are mandatory, put them at the bottom half of your resume. Always write your strong points first. You can also see the Electronics Resume Templates. All the resume templates are taken from reliable sources and can be used without thinking twice. 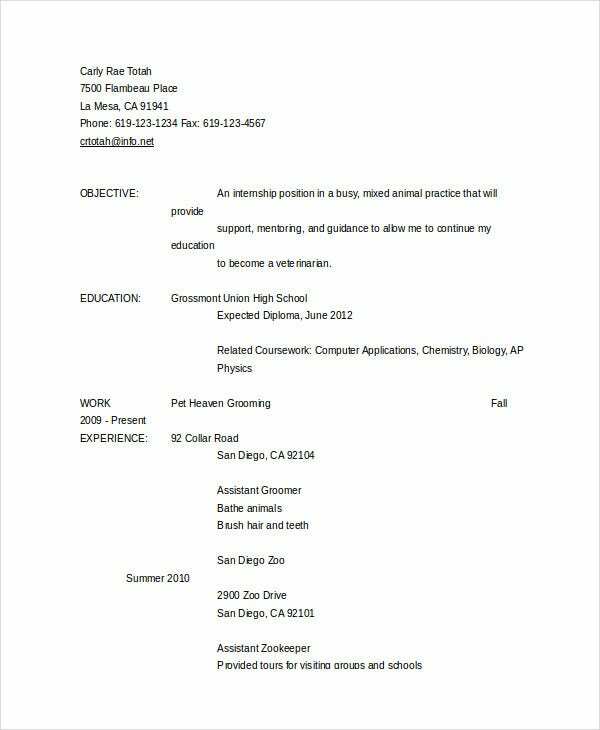 Naturalist resumes can also be prepared by using these templates. From these multiple resume templates, choose the one that is the best fit for you and make your resume in no time with utmost ease and little effort.